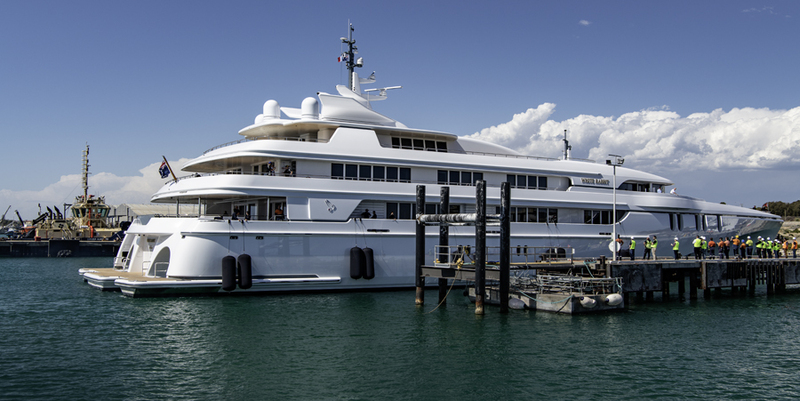 Maritime Cook Islands, an international ship registry, has just entered the majestic 84-metre trimaran superyacht White Rabbit – the largest aluminium and tri-hull superyacht in the world. This adds 3,000 gross tonnes to the flag’s total tonnage, as Maritime Cook Islands moves closer towards its goal of 10% of the world’s superyacht fleet on its register. Designed by Sam Sorgiovanni and built by Australian custom superyacht builder, Echo Yachts, Maritime Cook Islands was selected as the flag of choice due to its commitment to highest international safety standards and stringent quality control over vessels and crew.